Our season begins in mid-April and most years runs through the end of October, sometimes into November. 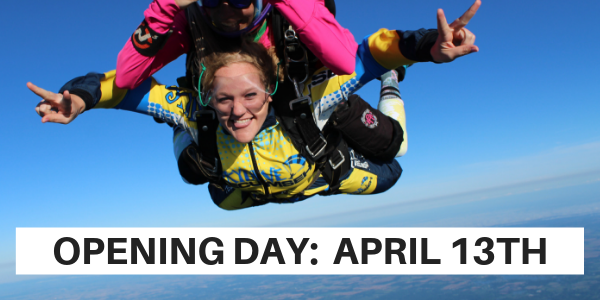 Skydiving is a very weather-dependent sport, and so we don’t have firm opening and closing dates. Please be advised that the weather tends to be very unpredictable in Michigan during the Spring. Even if you have booked an appointment, it is always a good idea to call before driving to the dropzone to verify that the weather conditions are suitable for skydiving on a particular day.